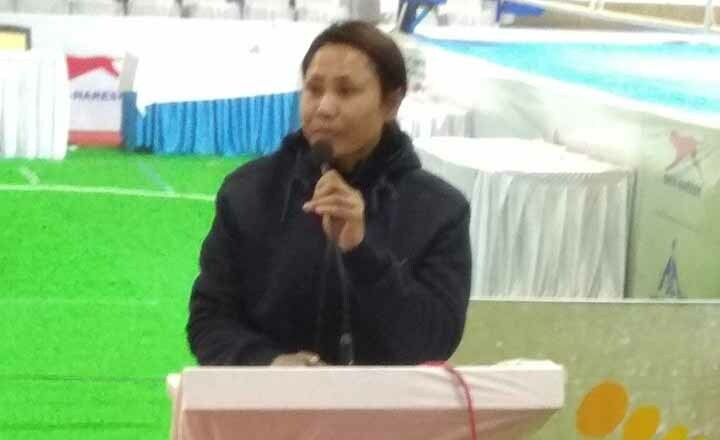 Manipur’s boxing veteran L Sarita Devi faces a tough road ahead at the AIBA Women’s World Boxing Championships in Delhi. 36-year-old Sarita, who got a first round bye in 60kg category, faces Diana Sandra Brugger of Switzerland in the second round. Brugger had defeated Huswatun Hasanah of Indonesia in the first round as the 10th edition of the championships began at the KD Jhadav Stadium here on Thursday. Sarita, who won a gold in the 2006 edition, has come into the tournament after winning a bronze each in the India Open and Silesian Women’s Boxing Championship in Gliwice, Poland this year. Her opponent Brugger, on the other hand, does not have a formidable reputation. L Sarita, would be eyeing her second gold at home but to do that she will have to beat the likes of defending world champion Yang Wenlu of China and Rio Olympics bronze medallist Anastasia Beliakova of Russia. They have been clubbed with Sarita in the lower half of the draw. India’s 69kg contestant Lovlina Borgohain also faces a tough opponent in her first bout on November 18. Borgohain, who got a first round bye, will either face 2014 World Championships gold medallist Atheyna Bylon of Panama or Yulia Stoiko of Ukraine.